Due to the added complexity of a WordPress eCommerce store we provide support for online stores at an additional cost of $60/month for eCommerce sites on any of our maintenance plans. Add eCommerce support to any WordPress Maintenance Plan for an extra $60/month. Stripe is a beautiful payment gateway for your sites users making online secure payments a breeze and for a reasonable price! Card storage, subscriptions and recurring payments, automated payments into your bank account and much much more make this one of our favourite payment gateways for our clients Ecommerce sites. WooCommerce comes with support for all the major shipping methods. We can configure your shipping options to suit the needs of your company, whether you are providing in store pick-up only or shipping globally. We specialize in WooCommerce! We bring a deep understanding of the WooCommerce platform and have experience with hundreds of Woocommerce Extensions. We can help you through the process of sticky WooCommerce Updates, maintaining Woocommerce stores and themes and managing WooCommerce databases. 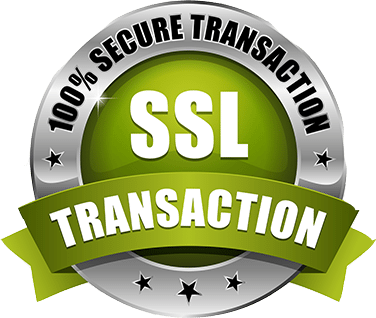 An SSL certificate will secure your web site with 256-bit encryption. An SSL Certificate is a must for eCommerce stores. SSL technology can increase your online sales by building customer trust. We can set up, renew and support your SSL Certificate. As well, we make sure that your website is passing all data securely, getting you the “Green Padlock”. PayPal provides complete payment solutions to accept credit cards and PayPal anywhere in the world. With three types of accounts PayPal is an affordable option and can grow with your business. We can configure, customize and support all official WooCommerce extensions / plugins for your WooCommerce store.